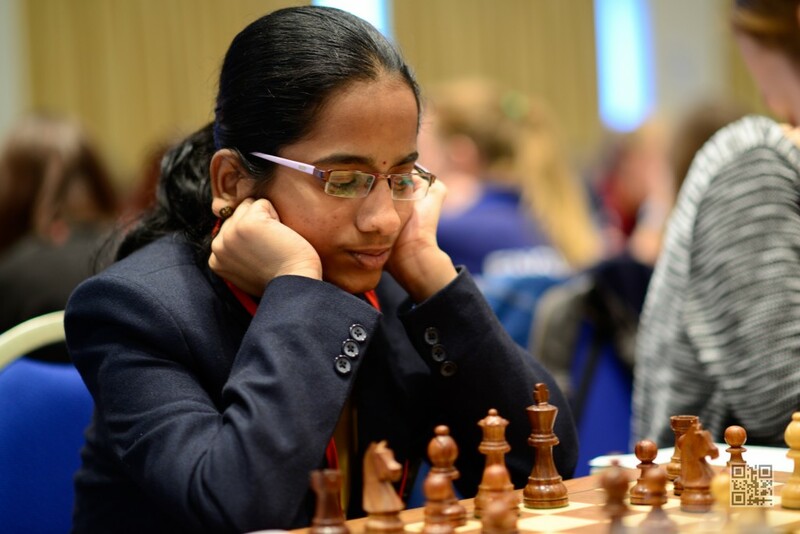 India’s M. Mahalakshmi continued her good run in the U18 girls’ category and is leading with 6.5 points at the end of the seventh round in the 2015 FIDE World Youth and Cadet Chess Championships, which is being held at Porto Carras in Greece. 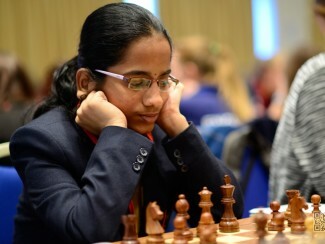 V. Varshini of India is closely following her with six points. Four more rounds remain to be played in this world event. In the U8 girls’ section, India’s B. Savitha Shri is in sole lead with 6.5 points. In the boys’ U8 category, lead changed hands from one Indian to the other. H. Bharath Subramaniyam defeated overnight sole leader Dev Shah to emerge sole leader with 6.5 points. Dev Shah is in the second position with 6 points. India’s R. Vaishali (6 points) drew with Russian Golrseva Ekaterina (6 points) and is in joint lead with her in the girls’ U14 section. In the U12 girls’ category, India’s Salonika Saina defeated country mate C. Lakshmi to move to six points. In the U10 girls’ sections, India’s Divya Deshmukh suffered a setback, when she lost her seventh round game. She still leads the pack among the Indians in her section with 5.5 points. In the U10 boys’ section, India’s R. Praggnanandhaa is in joint lead with the US’s Wang Justin with 6.5 points each.